Should the Baltimore Ravens Draft a Quarterback in 2019? The 2018 season is over for the Baltimore Ravens, and it is time to begin the yearly roster evaluation. This year, we will go through all 10 positional groups and evaluate the state of the group, and make recommendations on what the Ravens need to change this offseason. In today’s article, we will take a look at the quarterbacks corps. Here are the three quarterbacks that were on the 2018 roster. The Baltimore Ravens should first cut or trade quarterback Joe Flacco. 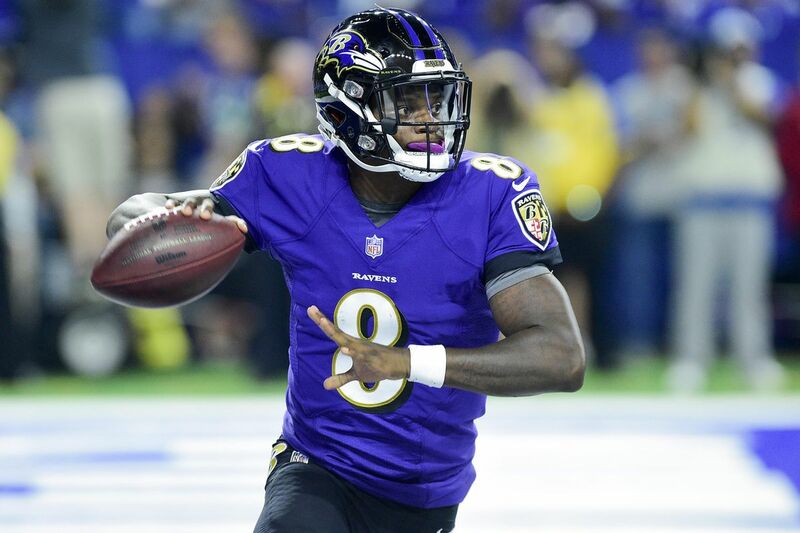 Since Lamar Jackson was named the starting quarterback of the future, there is no benefit in keeping Flacco on the roster at his price tag. Flacco is set to make $26,500,000 in 2019, an absurd amount for a backup quarterback. Regardless of whether the Ravens trade or cut Flacco, the team will still save the same amount of money. By moving on from Flacco, the Ravens will save $10,500,000 in salary cap space. With the extra money, Baltimore should allocate some of it to re-sign Robert Griffin III. The Ravens could offer Griffin a $7 million, 2-year contract, and re-sign Griffin. Griffin is very important to the Ravens quarterbacks corps, as he closely matches Lamar Jackson’s skills, and will be able to take over for him and succeed if Jackson got injured. If the Baltimore Ravens cannot retain Robert Griffin III, the Ravens should aggressively target a mobile, veteran quarterback on the free agent market. The best quarterback of this mold on the market is Tyrod Taylor, originally drafted by the Ravens in 2011. Baltimore could bring him back to the Ravens in 2019 to be the backup quarterback to Lamar Jackson. Taylor was the starting quarterback in Buffalo between 2015 and 2017. He also started out as the number one quarterback in Cleveland in 2018, before being benched for Baker Mayfield. Taylor is a quarterback that can come in and win for Baltimore if he is needed to, and may be the best quarterback option on the market for the Ravens. Baltimore could also target free agent Geno Smith, the former Jets quarterback, who has a mobile aspect to him. Smith, however, would not be as good as Taylor in a situation where he had to fill in at the quarterback position. Do the Ravens Need to Draft a Quarterback? No, the Baltimore Ravens do not need to draft a quarterback. The only point that the Ravens should draft a quarterback at is if the Ravens lose Griffin in free agency, and fail to sign Tyrod Taylor or Geno Smith to be the backup quarterback. Essentially, Baltimore would only need to draft a quarterback if there is only one quarterback on the roster entering the 2019 NFL Draft.